MANINIS Gluten Free Rice-Free Fresh Pasta & Mixes and now dinner rolls and sandwich buns can be found in natural food markets all over the USA & Canada! MANINIS Gluten Free also supplies fresh pasta to commercial food establishments through Food Services of America, Sysco Foods and Merlino Foods. If you are looking to order MANINIS Gluten Free Mixes online, please go to AZURE STANDARD (carries MANINIS PASTA and MIXES) or AMAZON.com. Important: This is only a guide to stores who have carried at least some of our products in the past. It may be inaccurate or out of date. Please call the store to check for availability before making a trip. Check back often or subscribe to MANINIS GLUTEN FREE FACEBOOK page to get automatic updates. If you see a store, please tell your friends and show that store your appreciation right away so they will keep it well stocked for you! 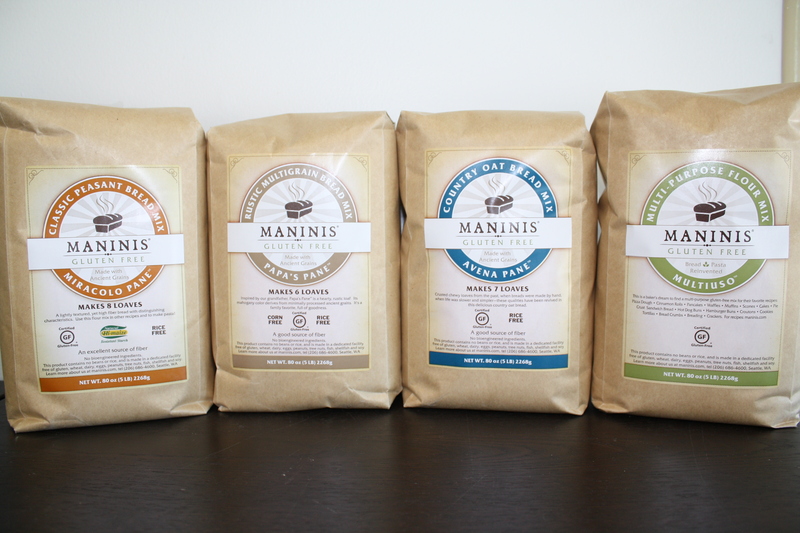 Please download this form to request that your neighborhood store carry the Maninis Gluten Free products. Check back often, we are adding new stores everyday! Thank you for your support in helping us spread the word about the next generation of gluten-free mixes by MANINIS Gluten Free! Please stock the Multiuso at Whole Foods in Tannasbourne in Hillsboro, Oregon. Lately it hasn’t been there and shipping is expensive. THANKS!!! Please let the grocery manager at Whole Foods know you want the mixes. Hi, I couldn’t find a nearby location, do you sell your products online? or do home delivery? Please let the grocery manager know you want it and they will bring it in. You can order the mixes through amazon.com. We moved from Idaho to the suburbs north of Atlanta. I MISS YOUR FLOUR! I have new several friends here who have tried it (because I’m now ordering online) and LOVE IT. They’ve ordered with me, and we would all LOVE to see you here in the Alpharetta Natural Foods Warehouse and/or Harrys Farmer’s Market (Whole Foods). Hope it’s on your list! LOVE LOVE LOVE the products! Please have your favorite stores contact us! We are spreading our reach across the country! Please, please, please get yourself into the Austin Whole Foods! You make THE best gf flour mix. I tried to get my local co-op (Wheatsville) to cary it but they said “there’s a glut of gf flour mixes” and they need more requests. Tasting is believing. Please send samples! There are millions of people in TX who need your products. I’d love to try your fresh pasta! I adore Papa’s Pane, and will be trying all your products! We have been told the pasta is in New Season’s Fisher’s Landing in Vancouver, WA but all the stores will carry it starting next week. on February 11, 2013 at 8:53 pm | Reply Gluten Free Dressing with Fennel and Rosemary Sausage! Are you thinking about coming to Massachusetts? We could really use your products! You ought to sell breadcrumbs and plain flour. The gluten free bread crumbs we’ve found are tasteless. We love everything of yours that we’ve tried. Thank you!!! I just bought some of your bread at the UW Farmers market. It is now my favorite. It’s amazing and wonderful!!! Is the bread available at the Kirkland PCC? Thank you for your kind comments, Rachel. Currently we sell our breads only at University and West Seattle Farmers Markets. PCC Kirkland is only carrying Maninis Gluten Free Fresh Pasta which is made from our Trovato Pasta Mix. We also have three bread mixes and a multipurpose mix. Our mixes are not yet being carried by PCC. Our breads are simple to make and there are baking tips available on this website. We are adding new RECIPES from our facebook fans. As we expand, we post everything on our MANINIS GLUTEN FREE FACEBOOK PAGE. Please check WHERE TO BUY for a store near you. If you would like to buy our mixes at any other stores, please ask the grocery manager to stock them. THANK YOU!! I purchased some rolls from you at West Seattle Farmer’s Market, along with some pasta and treats. WOW. I am amazed. My husband, who eats gluten, was amazed! So far superior to any other similar product we have found. Can’t WAIT to come get more!